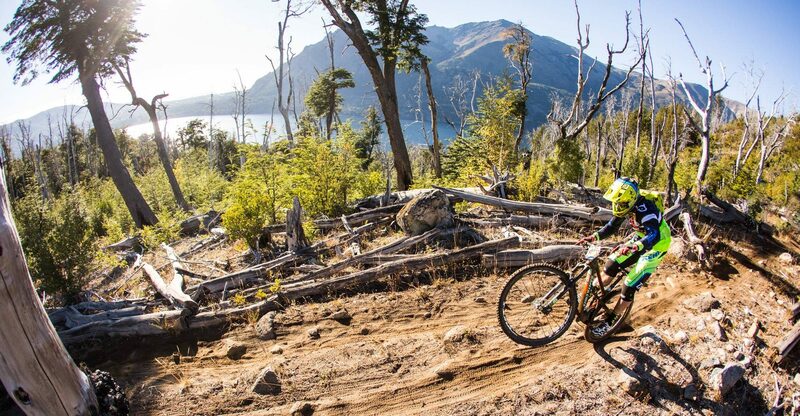 LEARN HOW TO RIDE YOUR MOUNTAIN BIKE FAST WITH STYLE ! DO YOU WANT CÉDRIC GRACIA TO BE YOUR COACH ? On the internet you can’t find a serious mountain bike training program, taking advantage of the wonders of technology to bring you the same benefits than a real life coaching. After a long research, I just found training courses mostly focused on means rather than final benefits. Yes it’s cool to know how to manual or bunny hop on a mountain bike, but how do you really use those skills on the trail ? Moreover, I can give you some serious tips about how to improve your ride with two main goals : be faster and add more style. That’s why I’ve decided to launch my online courses. 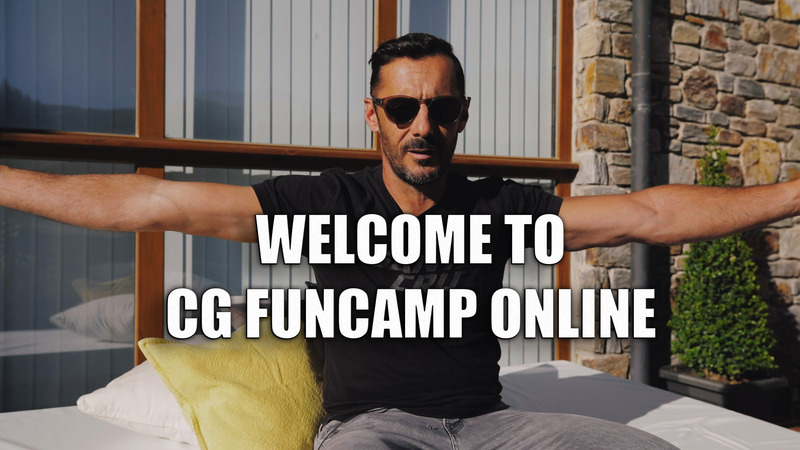 Today, CG Funcamp becomes CG Funcamp Online. I will cover the whole range of topics useful for beginners to advanced riders. Every month, I will serve you videos and webinars covering setup, riding skills, mental & physical preparation. Follow my program, and you will be able to master every important skill you need to enjoy riding your bike, from beginner to advanced, from week-end warrior to enduro or downhill racer. Of course, everyone claims to know every mountain bike tips & technics. People know them but it’s a totally different game to master how to teach. I’ve got the background in racing and coaching, enabling me to bring you the best overall solution. Usually in mountain biking, you have different ways to learn but most of them are either too complex or not simple enough for you to get it right away. You can also find them too intimidating because too technicals. That’s why I’m here to bring all that to you the simplest way ever. You won’t have to go anywhere, I’ll teach you through videos. This format is sweet to learn at your own pace, but we will also interact a lot through webinars, private Facebook group, and real life sessions. Ask your questions, I will answer. Basically, I’M YOUR PERSONAL COACH! The answer is simple: I’ve been doing CG Funcamps all around the world in real life for 10 years now. With those kind of events, I’ve been able to really understand what problems you guys encounter while riding your bikes. Most of the doubts, most of the mistakes and most of the fears are the same. My goal is to teach you the most precisely, without any bad habits. Because once you had them, it’s very difficult to change. With CG Funcamps I’ve been teaching to hundreds people, from beginners to advanced and I always have been so impressed about how their level improved so fast. Everyone gets it fast when you just bring the basics in the most simple way: I talked to them two or three points and let them try right away on their bikes. This way it was easier to make them understand the skill on the bike, without talking too much. Because the more you talk, the less you ride! That’s what we’re gonna do in these videos. I’m not going to talk forever, I’m going straight to the easy point and I’ll show you with videos and pictures. Of course, I’ll keep doing the real life CG Funcamps, but they will be an extension of the Online version. I just want to make it simple for everyone, talk to you directly even if we have 10 000 kilometers between us. That’s the key. And you will have all your time to dissect every single word, every single minute of the videos to know how to ride better, smoother, faster & safer. Safety come with a good technic. All this could happen only with modern technology. Before, it was impossible, but thanks to the internet we can now do CG Funcamps Online! In this new CG Funcamp Online, we will follow my rules of high level pro mountain biker for the past 20 years : work hard, party harder. Yes my program is about improving your mountain bike skills, but we need to keep the fun part alive. 1 live webinar where you will be able to ask me every question about the 3 videos of the month. This will come with a replay and the possibility to ask your questions before the webinar if you can’t be live with us. 2. A private Facebook group where you can exchange between students, and where I’ll answer your questions between live webinars. 3. We will have special meet ups, reserved for students of my program. Wherever I travel around the world, we will meet for a talk, a ride or just for a beer! The subscriptions are closed for now. To be sure to be informed as soon as I reopen them, enter your name and email below. Don’t hesitate to leave me a little message to show me some love!